How do we stop electric cars killing public transport? I’ve owned an electric car since July 2016 and I’m generally pretty enthusiastic about EVs. I’m excited by the idea that we might be able to make enormous reductions in transport energy use through switching from fossil fuels to electricity, and that we can simultaneously decarbonise electricity generation in order to have truly zero-carbon transport. I watch the way my owning an electric car engages friends on energy issues in a way that years of talking to them has failed to do. I see how growing up with an electric car means my five-year-old son understands more about the challenges of energy transition than most adults. I love the idea that the batteries in electric cars might help to balance supply and demand in a future of 100% renewable electricity generation. I see cities over-run by cars and wonder how much we might be able to reduce car ownership in a future of autonomous vehicles that, instead of being parked 95% of the time are being shared and carrying passengers, not necessarily owners, to the places they want to be. But I don’t think an electric vehicle future is without risks to climate and energy-transition goals. Principal among these, to my mind, is an accentuation of an effect that already exists with fossil fuelled cars, but is even more acute with electric cars. The marginal cost of a journey in a fossil fuelled car (fuel plus wear and tear) is already small compared to typical public transport options. In an electric car the marginal cost of a journey is an order of magnitude lower. 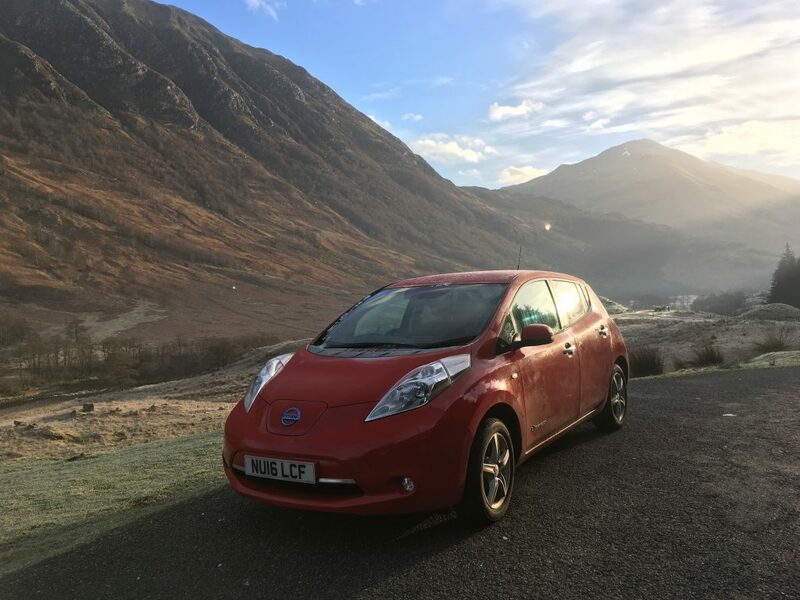 Energy costs are much lower in an electric car; electric motors are dramatically more efficient than fossil fuelled engines, electricity is not taxed as heavily as petrol/diesel, and charging away from home is currently often free. Maintenance costs are also much lower because electric vehicles are much simpler and there is less to go wrong. Plugging some numbers in to this illustrates the problem. I live on the west coast of Scotland. If I want to go to Glasgow tomorrow it will cost me £60 return on the train. In my electric car it will cost me about two charges (53 kWh), one at home and one rapid charge on route. Home charging costs me a little under 10p/kWh (I’m on a cheap night tariff), rapid charging is currently free. So electricity costs for the journey are about £2.50. Wear and tear will add a little to that but basically on economic terms alone, unless I’m able to work on the train journey, driving is a complete no brainer. Similarly, the economic incentive to car-share, cycle, walk or take the bus when the costs of the journey are so low already, is much less with an electric car than a fossil-fuelled car. So it will cost me much less to drive than to get the train, but what about the energy cost? In his seminal work on energy David Mackay estimates the energy cost of a high speed electric train, if full, as 3 kWh per 100 passenger-km (i.e. to take one passenger 100 km costs 3 kWh), 100 km uses about 16 kWh in my car, or about 18 kWh at the plug assuming a charging efficiency of 90%. So travelling by train uses about a sixth of the energy of travelling in an electric car on my own1. Why does that matter? The car is electric and it even says “zero emissions” on the side, surely that’s enough? It matters for several reasons. Firstly electricity generation in the UK, while it has rapidly decarbonised in the last few years, is still dominated by fossil-fuelled plant. Driving an electric car emits less CO2 than a fossil-fuelled equivalent, even with today’s UK electricity generation mix, but it is currently far from zero carbon. Secondly, even in a future of zero carbon electricity, using less will remain a good thing. The less electricity we use the faster we can get to zero carbon, the fewer wind turbines we’ll have to build, the less land we’ll have to cover in solar panels, the less battery and long-term storage will be needed and the less the whole system will cost. In addition to climate change motivations to encourage rail travel, it also makes sense in terms of safety – travelling by train is much safer than by car (see here, here and here), both for the car’s occupants and the cyclists and pedestrians around them. It also addresses problems of congestion on the roads. What can be done to counter the economic effect of electric cars being so cheap to run and the reduction in the incentive for more efficient options this presents? It strikes me there may be a relatively simple solution that a government faced with significant increases in the proportion of electric cars on the road should be incentivised to do regardless of their stance on public transport or climate change. Currently the government earns about £31 billion per year in revenue from taxing transport fuel (fuel duty and VAT), amounting to 3.5% of total UK tax revenue. If there is a substantial shift to electric vehicles the loss of this revenue will represent a significant hole in the national coffers. Taxing the electricity used by electric cars would be tricky since they can charge from any domestic socket, and taxing all electricity would have profound impacts on the cost of living and fuel poverty. A system for charging people per mile driven, based on GPS monitoring or similar technology, could be applied to all cars. Fossil-fuelled cars could still pay fuel tax, so the economic advantage that is partly encouraging electric-car uptake would remain. If we wanted to further incentivise electric cars we could charge them less per mile than fossil-fuelled cars. If the fee per mile were placed high enough, relative to the cost of public transport, it would provide a financial incentive to drivers to take public transport, car-share, cycle or walk instead of single-occupancy driving. If the funds, or some of them, were ploughed in to subsidising public transport to reduce ticket costs and improve services this would help further still. I’m not an economist or a political scientist, but this strikes me as a relatively simple solution to the problem of tiny marginal costs for electric car travel, and a solution that might appeal to government as a way of maintaining tax revenue in a future of electric cars. These figures are for electric trains. Currently the train to Glasgow is diesel, which uses about 3 times as much energy as a high speed electric train, but since this blog is about the future, and we should be electrifying trains, I chose an electric train as comparison.